3D printing is a wonderful way to get kids excited about learning and technology. 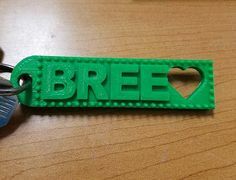 Not only will learning how to 3d print something engage students with math and science in a new way, but it will also teach them a new 21st century tool that could be their ticket to a career in the STEM field. 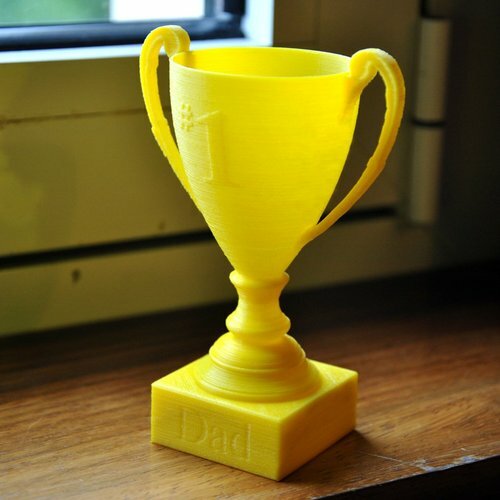 3D modeling and printing can be introduced to students as young as 1st grade! The success of these projects depends on how familiar your students are with working on a computer, how strong their spatial reasoning skills are and how willing they are to struggle with a project and try to improve their work. The projects below are geared towards students in 3rd grade or higher. Many can be differentiated for the subject matter being covered in your class. Reach out to the MFL team to discuss details for your students. The Mobile Fab Lab has a multiple 3D printers and projects that will be perfect for your students! During the winter months the MFL trailer does not go out to schools, instead the MFL team goes into the schools with a 3D printer! The introductory lesson for 3D printing includes the MFL team bringing a 3D printer into your classroom for students to see in action! We use a free, awesome, website called Tinkercad.com for our designs. It is recommended that each teacher creates a classroom gmail account that the students can use to access tinkercad. We also recommend that all of the students log into Tinkercad, do the tutorials and play around a bit before the MFL team arrives. When the MFL team is in your classroom, students can work in pairs or individually (this means most classes will need 12-20 computers) to design an intro project from the possibilities below. The time frame is an estimation and depends on how many students are in the class and their ability level. This simple project can be designed in less than one hour. Students can turn their name into a keychain, a name tag or a name stamp. More info and instructions here. This is a great intro project for students who feel comfortable with Tinkercad. Each kid can design their own flatbot. Each project requires a very small amount of pre-work to be done in the classroom. This includes doing some possible readings about robots, monsters or dinosaurs, copying down existing designs and then doing some brainstorming and designing on their own. Students can work individually or in partners. This project can be done in 1-2 hours. More info and instructions here. These types of projects are for students and teachers who have already completed an intro level project. These projects are similar to the intro projects in they can be completed in a relatively short amount of time and do not need a lot of iterative design. These projects can be designed in 2-3 class periods. Students can work in groups or individually to draw a rough draft and design their object in tinkercad in class without help from the MFL team. Then a MFL Team member will come to your class to check on the designs and make sure they are ready for printing. 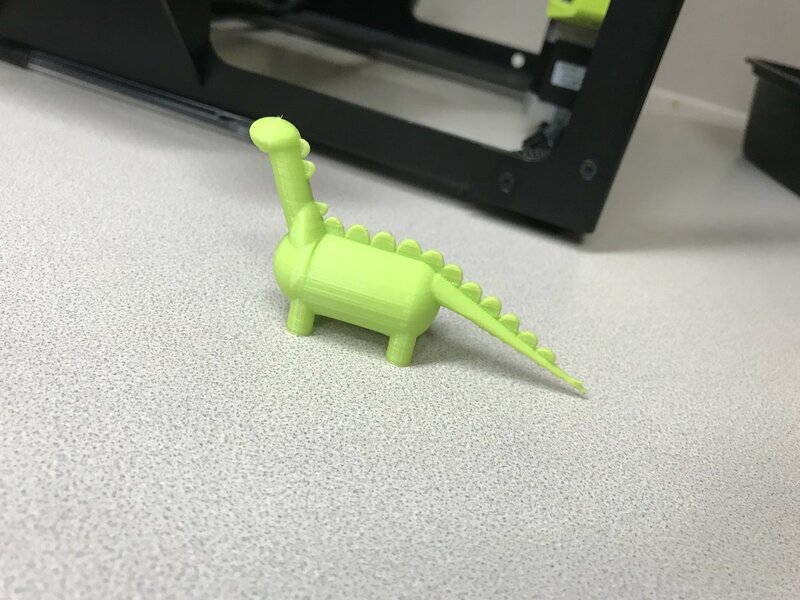 If the teacher has a 3D printer, then the kids will be taught how to prep the files and use the machine, if not, the printing will take place behind the scenes by the MFL team. Below are some ideas, but we are always open to working directly with a teacher to come up with new projects! You students can decide what type of characteristics they want to reward in your classroom community. They can they design their own trophies for the top citizen or multiple types of awards for a weekly prize. Students can create their own dinosaur or mythical creature or make adaptations to an existing animal. Great for biology and living environment units! 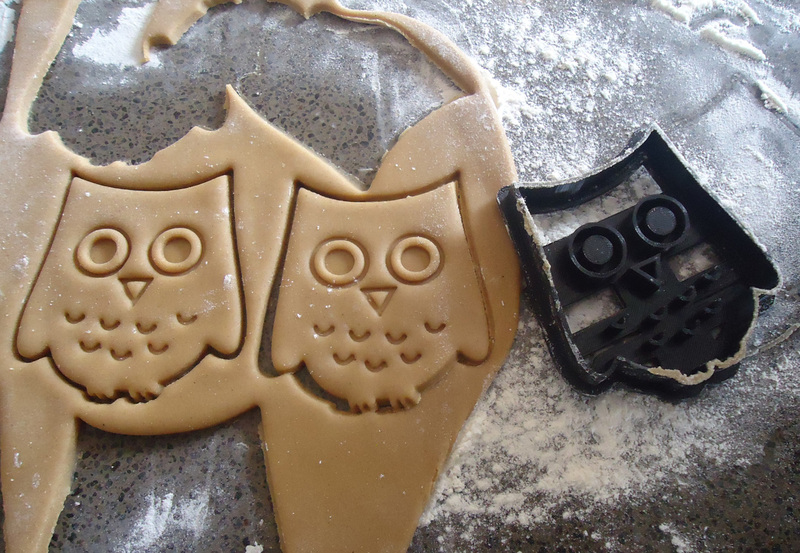 Students can use a great online tool: www.cookiecaster.com to design their own cookies cutters. You can leave it open ended for your students or have the cookie cutters revolve around a subject you are studying in class. We can print them out and then make cookies in your classroom with a toaster oven! 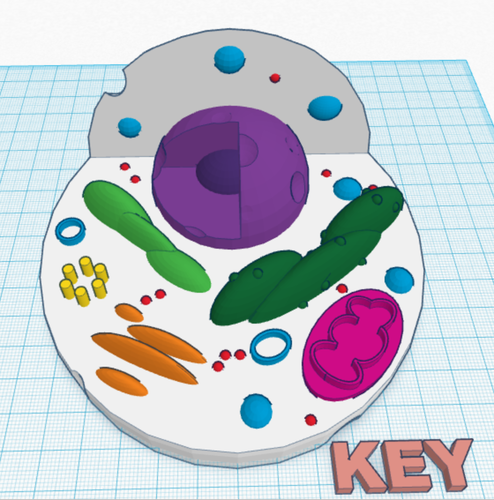 Students will design their own plant, animal (OR ALIEN) cells in tinkercad. 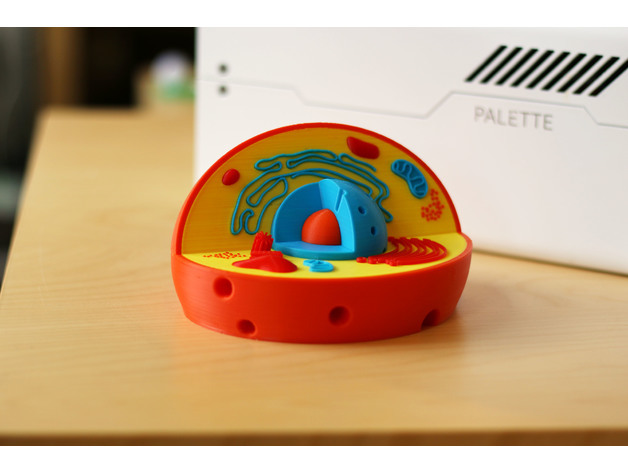 They can be printed out whole in one color, or as an extension, you could have students make it more like a puzzle where the parts of the cell are the pieces that need to be put back! Students can design their own insect depending on their science level. An extension could include determine the habitat their alien creature lives in, what it eats, etc. After studying a culture such as the Myans or Egyptians students can create their own artifacts to be printed out, or you could challenge them to create their own culture and make up new artifacts! Here, students are given the globe model and have to determine where to put holes that represent areas of the earth where there is major volcanic activity. After we print out the globes we conduct the classic baking soda and vinegar experiment while plugging the hole in the top of the globe to see all the volcanoes erupt at once! All of the objects in the photo to the right have the exact same volume. Challenge your students to create interesting shapes with the same volume. How does the surface area compare? Design projects are more involved and are focused on the iterative design process. only students and teachers who have done an intro project can complete these projects. These types of projects most often are completed in 4 phases, Phases 1 and 2 happen in the classroom with the teacher, Phase 3 and 4 happen with the MFL team. Phase 1: The class is given a problem or challenge. The students will need to do some research, draw sketches, present ideas, give and receive feedback before starting to design their object in Tinkercad. Phase 2: No-tech prototype. Students create a prototype of their object using no-tech materials including paper, tape, cardboard, Styrofoam, playdoh, etc. An additional feedback cycle takes place. Phase 3: Design in Tinkercad. Students create their designs in tinkercad and present their designs to MFL team for feedback and make an edits/improvements. A mini/low resolution version of the object is printed and students iterate (this step is not necessary for all projects). Phase 4: Projects are printed. If there is a printer in the classroom the students will learn how to prep their projects and use the machine. If not, this will happen behind the scenes with the MFL team. Final presentations on the object and the process the students went through to complete the work. Below are some ideas for projects, but these are just some of our ideas. We would love to hear what you’re working on in class and try to come up with new projects! We are happy to share files! Below is a list of materials that we have made for activities this year. Let us know if you have any questions! The Anti-Bullying Club at Clara Westropp School felt there was a need for students to submit anonymous notes about acts of bullying they witnessed or personal requests to talk to a teacher about bullying. After reaching out to the Mobile Fab Lab we were abel to come up with a press fit design and some anti-bullying posters that would look great on the box! The club built two large boxes that will be placed in public spaces in their school and they will check in on the submissions weekly! More photos of the inside of the trailer, coming soon! The seventh graders at Euclid Park Elementary in Cleveland did an AWESOME job creating new huts for their class hamster- Mr. Wiggles! Ms. Pittman-Scott, the middle school science teacher at Euclid Park, worked with the MFL to create this great learning experience for her students! The students started by looking at existing hamster houses and discussing Mr. Wilggles’ behavior. Next, we worked together to come up with a list of parameters that their designs needed to follow. The students worked in groups of two or three to sketch out their designs before building them in Tinkercad. We watched videos on how 3D printing works and the students had to take that into consideration for their designs. Each group designed a hamster house that was no bigger than an 8 inch cube and had a door as well as windows for Mr. Wiggles. Each hamster hut took between 9 and 14 hours to print and they turned out great! Mr. Wiggles seems to be enjoying his new huts! Projects are grouped into three levels: EXPOSURE, INTERMEDIATE, and FULL DESIGN. The grade level for each activity is listed in parenthesis, but many can be differentiated for different grade levels if needed. If you have never worked with the MFL before, please focus on the exposure activities. If you have any questions, please contact us. These projects introduce students (and teachers) to the technology available in the Mobile Fab Lab and possible to the design process. These projects are mostly a one hour or one day project. They can connect to the content you’re covering in your classes, or act as a stand alone activity. This is a perfect activity for younger students K-2! Students begin by talking about seasons and how they effect the leaves around us! This art and science lesson allows students to color leaves for all season and create a Laser Cut tree to glue their leaves to! This can be done with students of any age PreK to seniors! They can decorate a piece of wood any way they want using markers and then we will laser cut it into pieces. Students will learn about the Epilog Laser cutter as they see the letters cut out from wood! Next the kids can decorate the magnets with paint or markers or decoupage pictures of items that begin with that letter! Great for phonics! This activity is great around the holidays but can be adapted to create other shapes as well! Students create a 3d stand up shape from laser cut pieces and can decorate them using glue and glitter! GIK (Great Invention Kit) is a great way to introduce kids to a laser cutter and get them making things! These small cardboard pieces can be thought of as a different version of Legos. Students get to see a GIK Kit get laser cut then let their imaginations run wild as they create little mini inventions of their own and can take a GIK Kit home with them! This activity can be done with students of any grade! After learning about a different culture students can decorate their own mask! This could also be done with the ‘design your own super hero’ activity! 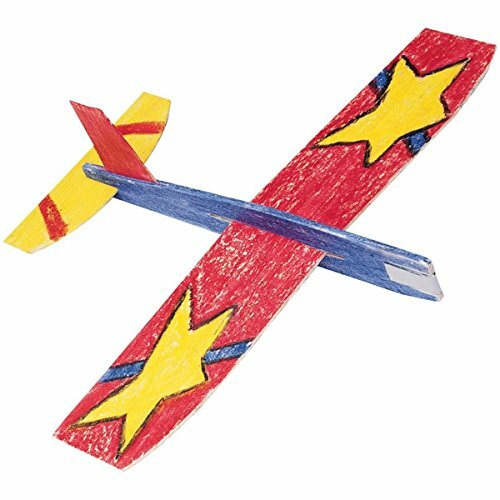 Students can experiment with different wing and tail options to make their customized bird flyer. A great introduction to the laser and scientific method! Students build their own mini rocket out of a straw, paper wings, tape and clay. After launching the rockets students get to experiment to try to get their rocket to go further! This activity can be done in an hour or can be part of up to a week long exploration into rockets! In this exposure activity, students get to experiment with different weights and wheel sizes for their race cars. They can collect data to later analyze and determine how different variable effect the car. The MFL team has a large race track for the experiment! This activity is also an intermediate design activity, see below. Paper circuits are a great way to get kids thinking about science and how electricity works! This workshops allows students to learn about circuits and make their own light up paper circuit with copper tape, and LED, a 3V battery and a binder clip! Can also be made into light up pop out cards! Robot Keychains is a great little activity to get students excited about making and learning about cool technologies! Students learn about Laser cutting and practice fine motor skills as they create a little robot keychain of their own! The Robots can be customized for your school or event! This activity is an introduction into 3D modeling and printing. Students use Tinkercad.com, a great free website, to tinker and design their own keychain with their name on it! We will bring a 3D printer to your classroom so students can see how they work and 3D print a keychain for every student in the class! These projects allow students to use the technology in the Mobile Fab Lab and do a small amount of design work. These projects are mostly one to two day projects that should be done by a teacher who has some experience with the MFL. Students can do a quick design to create their own glider template that we will laser cut and decorate. 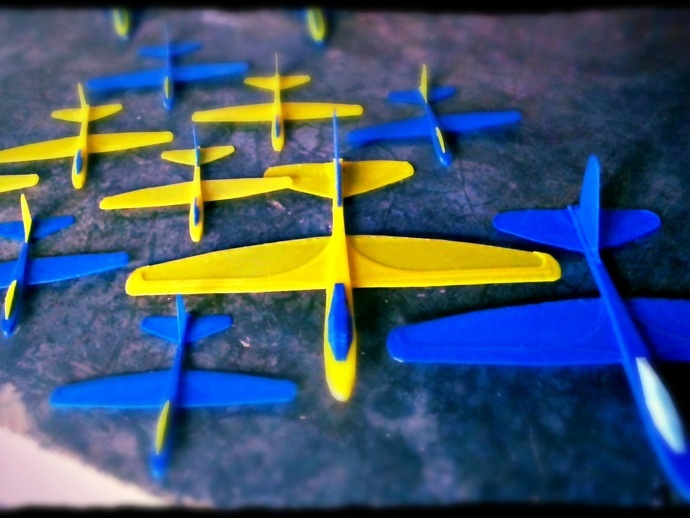 Kids can then compete to see which glider has the best flight path and if time permits, iterate on their design. Students will experiment with different paper blades to determine which shape creates the most energy. This is a GREAT activity for any alternative energy or sustainability unit! The Wind Turbine activity can be expanded to include laser cutting – students can digitally design and fabricate their own blades! In this art activity students will take a photo of their profile and use technology to laser cut their profile out! This can be a great activity to do around the holidays to give away as a gift! This is a design activity. Students will use MakerCase to create a pressfit box then will design its purpose- it could be a cover for a tissue box, a piggy bank, or a secret keeper for them to record their dreams or a journal! Students can then decorate the box anyway they’d like! In this activity each class will make one BIG make of the USA! Each student will be assigned 1 or 2 states and will have to become an expert on that state. They can write and or draw on the back of the wooden pieces facts like, the capital, state flower, largest industry, etc. Everyone in the class is engaged and learning and together they will know a LOT about the whole country. Students will design and create their own marble maze using the laser cutter and mathematical thinking. Students can design and create personal stickers for lockers, cell phones, or books. Or they can work together to create a logo for a project or school group or team. This machine can also be made to make t-shirts or large decals for walls or windows! Students will think about silhouettes and shadows before designing their own lantern and creating it using the laser or paper cutter. Students can personalize a wooden book cover. These small books can be used as a journal, or students can write and illustrate their own story and create a hardcover to match the story. Titles, images or photos can be engraved on the cover. Stackforms are a great introduction to many different digital fabrication programs! Students will use Tinkercad, 123DMake and Corel Draw to laser cut plans to create a 3D animal or shape and have to find the volume of an irregular shape! This activity gets kids thinking abstractly while applying spacial reasoning and math! Students will learn about tessellations and MC Escher before making their own tessellating shapes by hand. The activity can continue by digitizing the design and laser cutting tessellations. Students learning about symmetry in math or weather in science can create interesting designs using an online program and use the laser to cut them out of paper or wood. This is a great activity for a club or sports team or for individuals. Students can use our Vinyl Cutter to design their own t-shirt and make a template. Next they use the template and screen printing materials to create their own shirt! This is a great students in grades 5-8! Kids can learn a little about topography and how the maps work before designing and creating their own maps of a given area or making their own out of thin cardboard and painting to represent a real map! Students can create a model of a plant and animal cell using 3d modeling or 2D design software that can be fabricated with the 3d printer or the laser cutter. These projects require the students to answer a design challenge question and/or evaluate and improve their designs. These projects take four to ten days to complete (or can be done over the course of a grading period). In this design project, students first experiment with existing racers by placing penny weights in the top slots of the car and with different wheels. They then get to create their own designs to 3d print and race. This activity is great forany class that has a class pet! Students work together to decide on parameters for their design and digitally design their own Hamster House to be 3D printed! A great activity for grades 4-8! This activity walks students through the process of a simple sketch, to a precision blue print drawing and allows them to design a bird house. Students will digitize their blue prints to create a cardboard prototype and go through the iterative process before creating a word bird house that can be painted and hung outside the school! 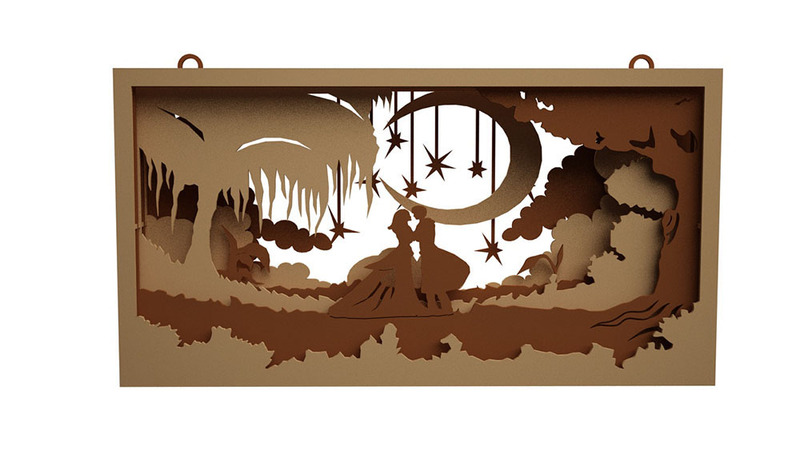 Art or Literature students can design a scene in multiple layers to be cut with the laser. This can be done with a specific culture, time period or book in mind. This is a more involved activity that is best done over a few weeks with students grades 5-12. Board games are very fun and easy to play, but some are much more complex than we realize! This activity allows students to deconstruct their favorite game before designing their own! We can laser cut the game board and 3D print the pieces! The Design Process is a simple model that can be implemented in in all subject areas and grade levels. The underlying idea of the Design Process is that no project is ever perfect or complete. As educators we and our students should be of the mindset that we can always be innovating and improving our work! Introduction– these projects introduce students (and teachers) to the technology available in the Mobile Fab Lab and possible to the design process. These projects are mostly a one hour or one day project. An example of this type of project could be creating a holiday ornament that was laser cut. Students get to learn about the laser and see it in action and fabricate a small object, but no questions were asked for design work was completed. Intermediate- these projects allow students to use the technology in the Mobile Fab Lab and do a small amount of design work. These projects are mostly one to two day projects. An example of this type of project would be the Create a Bird House project- students get to draw rudimentary blue prints of a bird house and use software with the help of the Fab Lab team to digitize those plans and laser cut the cardboard pieces needed to create the bird house which can then be put together with hot glue. Full Design- these projects require the students to answer a design challenge question and/or evaluate and improve their designs. These projects take four to ten days to complete (or can be done over the course of a grading period). An example of this type of project would be building upon the intermediate bird house project, students would then evaluate their designs based on the cardboard prototype to draw more accurate blue prints and improve on their digital design before laser cutting the pieces out of wood to be put together with nails and wood glue so the bird houses could actually be put outside and used by the community. Click here to see project ideas organized by design level! 8th grade students at Euclid Park did an amazing job a few weeks ago learning about the Ring of Fire and experimenting with Digital Design and 3D printing! Before the Mobile Fab Lab arrived students reviewed what they had learned in Earth Science about volcanoes, plate techtonics and the Ring of Fire. They also brushed up on plotting longitude and latitude points by creating a map of the Ring of Fire. Next students got a quick introduction to Digital Design with an overview of TinkerCad.com In groups of three to four the students modified a pre-made model of the globe by adding small holes in the locations where major volcanic activity occurs. Students then got to visit the Mobile Fab Lab and see the 3D printers in action as the Fab Team worked to print all six globes in only two days! The globes were designed with a larger hole on the top of the globe where materials could be poured in but could be easily plugged with a cork stopper. Finally, back in the classroom, the students conducted the traditional baking soda and vinegar experiment with their globes. We added in some dish soap for extra foam and food coloring for a bit of extra flair! The end result was a simulation of what the earth would look like if all of its major volcanoes erupted at once! Overall, this was a great example of how maker ed and digital design and fabrication can be used to enhance and deepen a science learning experience for students! These mini pumpkin puzzles were created with the laser cutter in the Mobile Fab Lab. Students had to put on their thinking caps to put together a puzzle that had no picture on it! After gluing the pieces of the puzzle together the students decorated their 3D pumpkins with glitter glue. The 3rd and 4th graders did a great job with this STEAM activity! We also visited a Pre-K room and loved seeing the littles ones express their creativity with makers on their pumpkins! Awesome Incentive Robots at Hannah Gibbons!! The students at Hannah Gibbons were so enthusiastic and excited about the Mobile Fab Lab, I can’t wait to go back and see them again! For this visit, the Gold Scholar students (kids who did well in all of their classes and didn’t have any disciplinary issues) were rewarded with a trip to the Mobile Fab Lab! The students were able to learn about how the laser works and see it in action as well as get to make a little Fab Robot Keychain of their own! The younger students, who can have a hard time with the tools, learned about the seasons and created a four season tree with laser cut leaves! New Project Idea! Holiday Activity! These adorable holiday decorations can be made by any student grades K-8! Each decoration consists of 2 laser cut pieces of wood or cardboard that students can decorate however they wish with glitter and glue. Older students can work on designing their own snowflake or tree silhouettes and learn to use the laser to cut their designs out themselves! This activity could be done in half an hour or as long as a whole day ! Students build their own mini rocket out of a straw, paper wings, tape and clay. After launching the rockets students get to experiment to try to get their rocket to go further! Great for science students K-12! 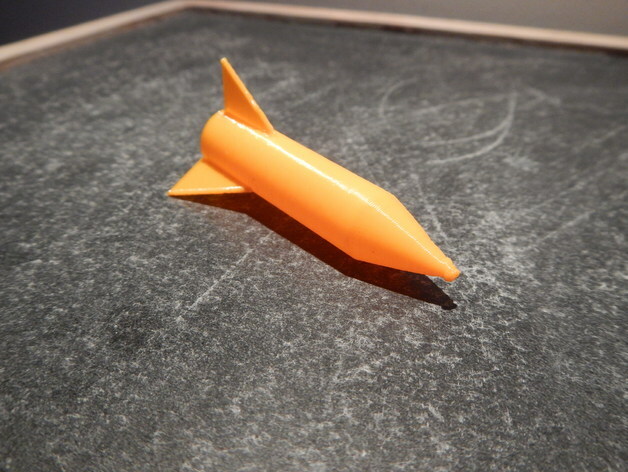 This activity can be done in an hour or can be part of up to a week long exploration into rockets, it also has great connections to Math and Science for ALL grades! Robot Keychains is a great little activity to get students excited about making and learning about cool technologies! Students learn about Laser cutting and practice fine motor skills as they create a little robot keychain of their own! The Robots can be customized for your school or event! This can be a great full class activity, or some schools use it as a reward or incentive project for kids who have perfect attendance or have reached another achievement! Students can design there own image, or we can scan pictures to laser cut magnets! These are great for a classroom management tool! Students can create any design they like, or as a separate project teachers can have them design a logo for the class! This Activity requires students to be able to use Tinkercad, so it can start with an introduction or we can jump right in. Students design a bird feeder focusing on a specific shape (the one pictured is make of mostly hexagons). They will have to make precision drawings, make a cardboard prototype, 3D model the bird feeder and finally print in on a 3D printer. The entire Engineering Process! This activity walks students through the process of a simple sketch, to a precision blue print drawing and allows them to design a bird house. The design and worksheet part of the activity can be done in class with their regular math or science teacher and then they can learn how to digitize their design and use the laser cutter to create their very own bird house. This is a great community activity- the bird houses can be put up around the school and students can track if birds use them,etc. See how to do it in your class here. This activity is great for any class that has a class pet! Students work together to decide on parameters for their design and digitally design their own Hamster House to be 3D printed! A great activity for grades 4-8! This is a great twist on a classic science experiment! Students learn about chemical reactions, geography and earth science! Kids get to make a map of the Ring of Fire and other major volcanoes around the world before digitally designing a globe of their own with holes in it to represent volcanic activity. After 3D printing the globes the students get to see what it would look like if all the volcanoes exploded at once by conducting the traditional baking soda and vinegar experiment! Kaleidoscopes are a great project for students studying light! This STEAM project allows students to think about how light moves and engineering to build and decorate their own Kaleidoscope! Paper circuits are a great way to get kids thinking about science and how electricity works! This workshops allows students to learn about circuits and make their own light up paper circuit with copper tape, and LED, a 3V battery and a binder clip! This is a true STEAM activity. Students can choose from many card options, from a house (as seen), a building, a Christmas Tree or a Roller Coaster and use the laser cutter to cut out the card. They then have to use patience and fine motor skills to make the card Push Out (which is trickier than it looks!) and build a simple paper circuit on the back of the card to make it light up. This activity is great for students in grades 6-12 and is perfect for any holiday! Students can also customize their card by adding windows or other designs. What do we know about the USA? MFL in the Labor Day Parade! The Mobile Fab Lab was in Cleveland’s Labor Day Parade last weekend! 15 MC2 STEM students along with Ms. Mack and Mr. St.Claire participated in the 11th Congressional District Lab Day Parade on September 5th! It was great to be a part of a fun Cleveland Community Activity. We really enjoyed the all-CMSD drum line and the students had a blast tossing candy to the parade watchers! The MFL Is gearing up to visit schools in the next few weeks, email CleMobileFabLab@gmail.com with questions to to request a visit to your school or event! One Day workshops are designed for one class at a time (20-25 students) and take a full school day to complete. We are still working on creating more full day workshops, but if you like a workshop we have in our 1 hour or 1 week long sections, please let us know, we can certainly adapt it to a full day!